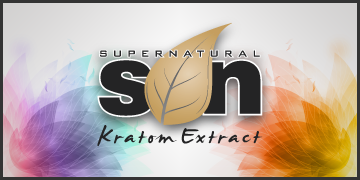 Supernatural Platinum Kratom is bar none, the finest, most potent full spectrum Kratom extract available at Lets Vape & Smoke Shop KC . Super Natural Platinum Kratom is a premium 50x, all-natural extract derived from the finest wild harvested Maeng Da leaves. Platinum kratom is the only choice for serious Kratom extract connoisseur. Supernatural Platinum Kratom are rich in analgesic properties (Pain relief properties) and quickly remove pain throughout the body by impacting the hormonal system. Kratom can have major effects on the strength and resilience of the immune system. Kratom Leave extracts, which were traditionally used as herbs or Kratom Capsule, are endowed with free radical scavenging and antimicrobial activity and also are a natural source of antioxidants.